Greetings in the Lord! We hope you are well and enjoying the summer season! 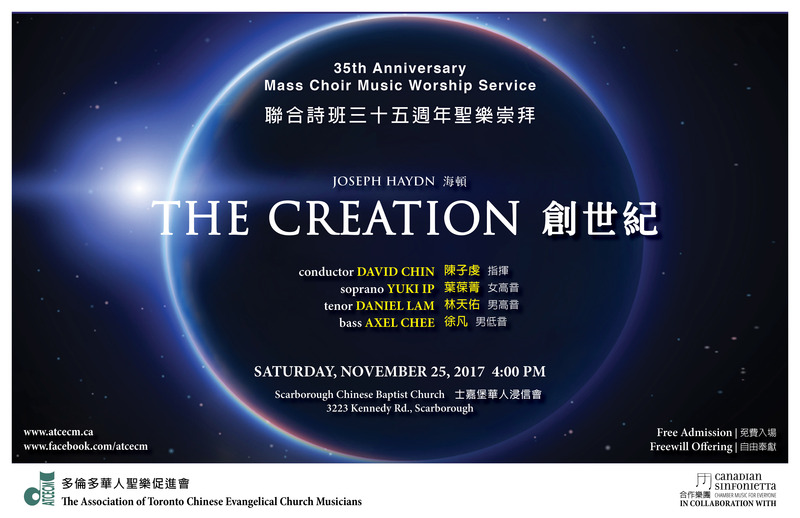 The 35th Annual Mass Choir Music Worship will be held on November 25. This year the choir will present Haydn’s Creation. Rehearsal will commence on September 10, every Sunday thereafter, 7:00 pm to 9:30 pm at Toronto Chinese Methodist Church.